I’m glad you are visiting my site. My obedience classes are held in Fresno, CA. I keep the training classes small so you and your dog will get lots of individual attention. 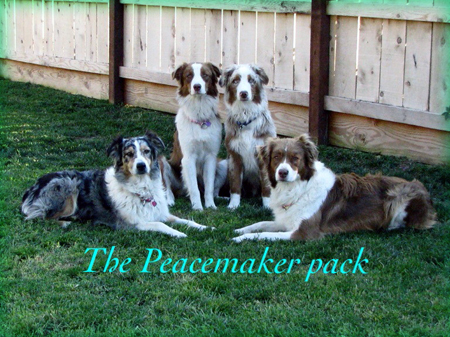 The goal of Peacemaker Dog Training is just what the slogan says. “Making peace between you and your dog”. When you enjoy the time you spend with your dog, both of your lives are enriched. I will teach you to be looked at as a leader by your dog(s) and others. The difference between my obedience classes and the classes taught by the big pet stores and the positive reinforcement trainers; is that my training classes work with your dog’s natural instincts. You will learn animal behavior, why your dog does what it does, and learn to communicate with your dog in a way they easily understand. Plus, unlike other classes, my classes are held in areas where it simulates real life experiences your dog will encounter. There are dogs in the classes, dogs not in the class being walked by other people. Activities are going on with lots of human distractions as well. Anyone can have their dog behave in a sterile environment with a few other dogs around. In my obedience dog training classes I will teach you how to balance rewards and corrections. You and your dog will learn and perfect not only the basics: walking on a leash, sit, down, stay, and recall. 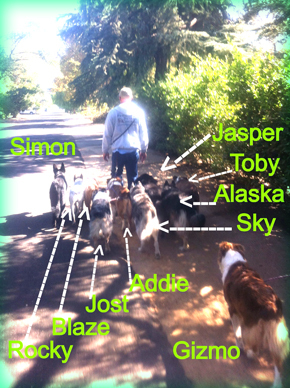 We will also work on boundary commands, some distance work, as well as good manners. "We are so very thankful for your class! You absolutely know what you're talking about because over and over it worked with Cora. The understanding between the human and the dog is crucial and I've never met someone that gets it like you do... thank you Peacemaker!"